The following guide gives you an overview of the first steps you need to take to start working with the store. 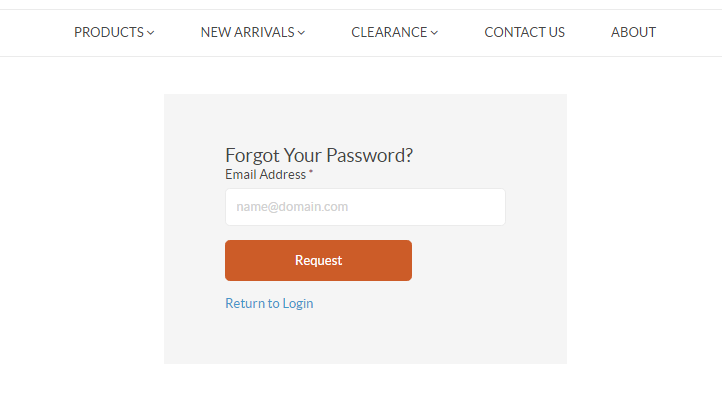 These include registration, signing in and requesting a new password. 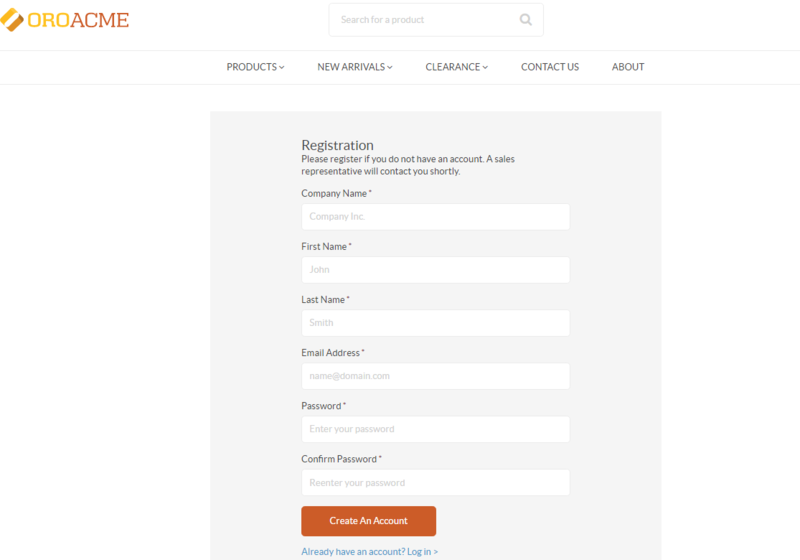 On the website landing page, click Register in the top left corner. 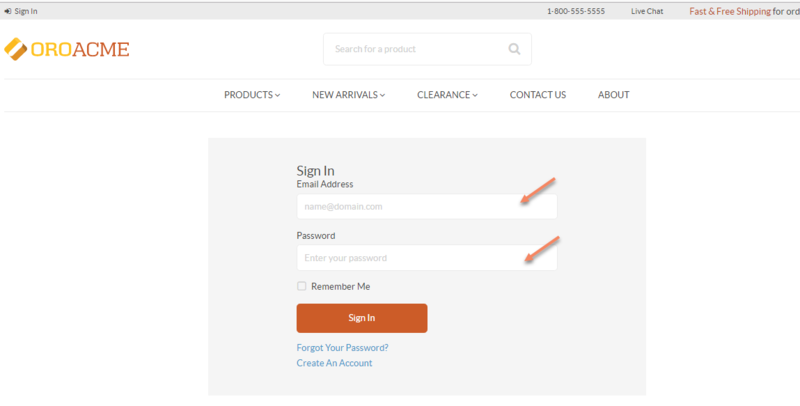 In case there is no such link in the top left corner, which depends on the configuration, click Sign In instead. 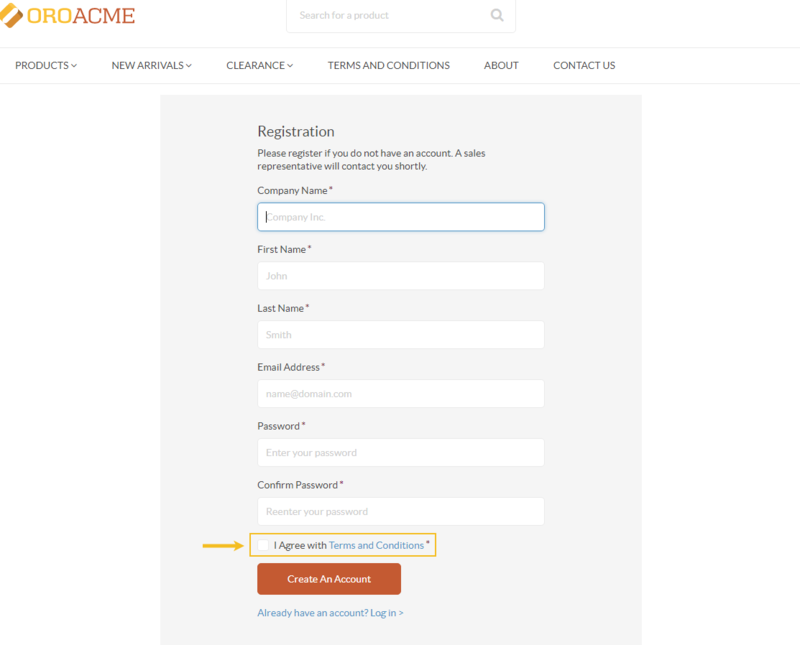 Then, click Create an Account at the bottom of the form. The password must include an upper case letter and a number. 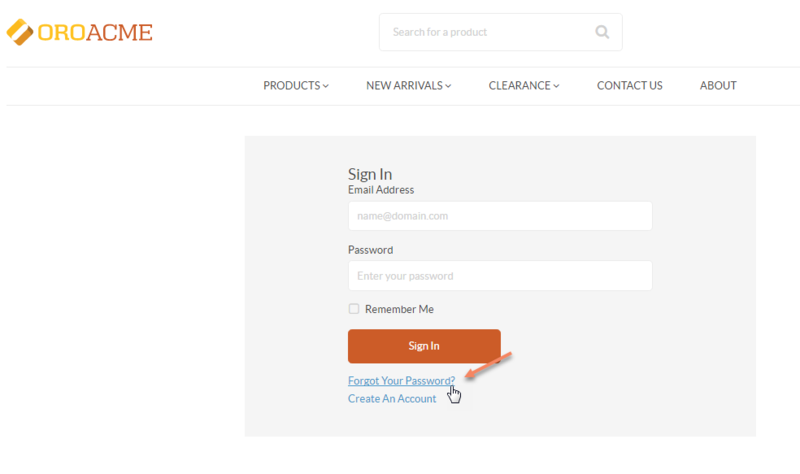 Once the details have been provided, click Create an Account. A sales representative may contact you shortly to proceed with registration. Check your email to complete registration. You may need to read and accept mandatory (and/or optional) agreements to process your personal data before you are allowed to register. Such consents are marked with a red asterisk. Select the check box next to the agreement or open the agreement link to view the full text of the agreement. Click Accept to confirm that you have read, understood and are accepting its conditions. You do not have to accept optional consents; these are not marked with a red asterisk. Click Sign In in the top left corner. 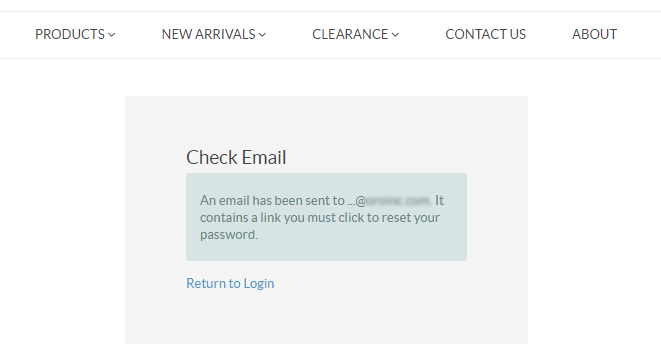 Enter your email address and password into the provided fields. 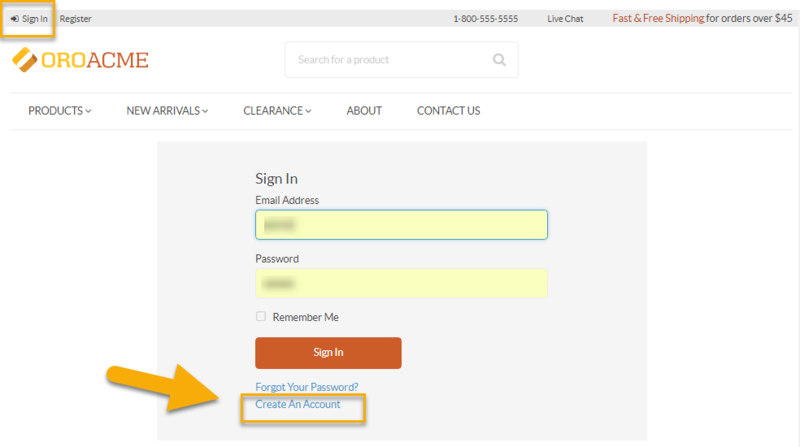 The Remember Me check box saves your credentials, so that next time you visit the website you can automatically log in.